The LAPD and Chief Charlie Beck are expressing concerns that fear is keeping some immigrants from reporting crime. LOS ANGELES (KABC) -- Reported crime has dropped among the Latino population in Los Angeles this year and police say it may reflect a fear by undocumented immigrants of reporting when they have been victimized. In particular, the number of rapes and spousal abuse cases in the Latino population has dropped this year by larger numbers than in other racial groups, according to the Los Angeles Police Department. Police Chief Charlie Beck said he believes some members of the Latino community may be afraid of coming forward to report a crime out of concerns the police will ask about their citizenship status and possibly have them deported. Beck and Mayor Eric Garcetti have been seeking to reassure the community that LAPD officers are not allowed to ask about the immigration status of a crime victim or witness. Garcetti signed an order Tuesday expanding that policy to the Fire Department and the Airport Police. "While there is no direct evidence that the decline is related to concerns within the Hispanic community regarding immigration, the Department believes deportation fears may be preventing Hispanic members of the community from reporting when they are victimized," the LAPD said in a written statement. 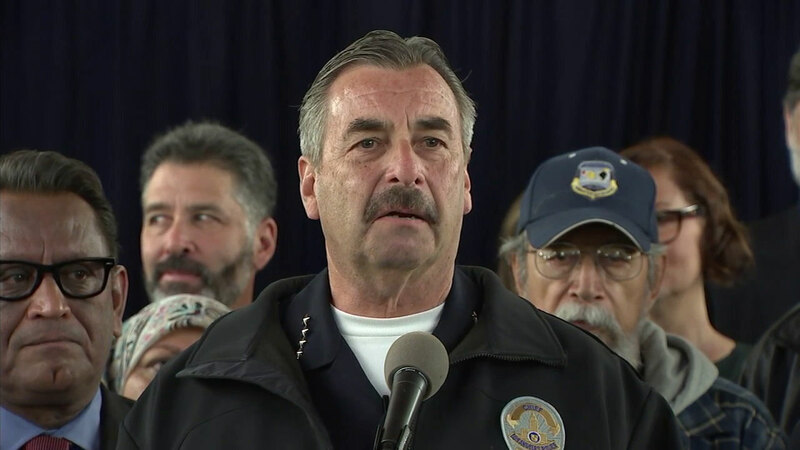 "Chief Beck wants to reiterate the importance of reporting crime to the LAPD and assure the community the focus of our investigations is to create a safer community for everyone." The number of rapes reported by Hispanic victims in January and February dropped by 25 percent compared to the same period last year, according to LAPD statistics. At the same time, the black population saw a 2 percent increase and the white population saw an 8.8 percent decline. The number of spousal abuse cases reported dropped by 9.8 percent in the Hispanic population, compared to a 6.8 percent drop in the black population and no change in the white population.